King N Jabalina is a grandson of Senior Bailey (left) - AQHA#61181; 15.2H, 1200-lbs. H-1/P-3(Reining). SIRE OF: 4 AQHA Champions, 18 ROMs, and several NCHA Champions and Money Earners. 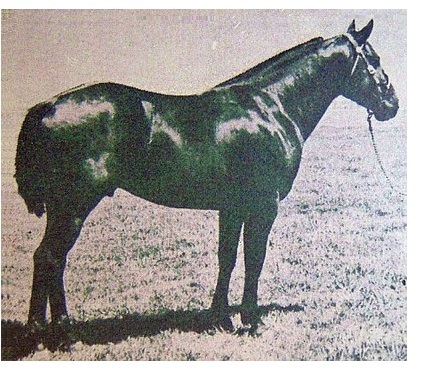 King N Jabalina has 1 MATCHED PAIR OF CHROMOSOMES, (THE SAME AS KING P-234 HIMSELF HAD. 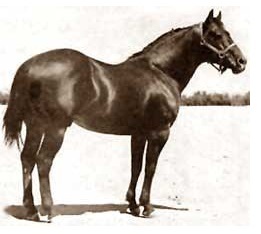 King P-234 Produced ONE OF THE GREATEST COWHORSE DYNASTIES OF ALL TIME). 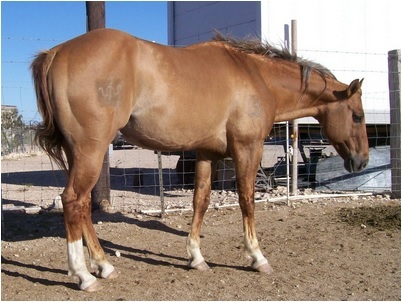 King N Jabalina is a PROVEN PRODUCER, Ranch and Arena Using Horse that has been used Prowling, Penning, Catching Cattle in the pasture, Used to Doctor, Sort Cattle on the Ranch as well as Salebarns and is a Heeling Horse with an Outstanding Disposition and Natural Cow. PROVEN Producer and Proven Complete, Outstanding All Around Cow Horse, with Natural Speed, Cat Quick Agility and will NATURALLY Watch a Cow Hard, Strong from the Horn, Deep Natural Sliding Stop! Straight, Correct, Typical Foundation Bulldog Conformation, Short Back, Long Underline, Big Sloped Hip, Deep V Chest, Nice Muscle and Bone, Pretty Head and Neck, Big, Soft Kind Eye. Line Bred from True Foundation Cow Horse Dynasties, King P234 and Foundation KING RANCH Genetics, (Old Sorrel, the stallion Bob Kleberg FOUNDED The King Ranch Quarter Horse Breeding Program ON, and MANY of his MOST Exceptional Producing Sons, including HIRED HAND), that have stood the test of time and are still a Major Impact today on the Cow Horse World, BOTH Ranch and Arena.